We’re wrapping up IRCE week here in Chicago, when internet retailers from around the world descend on Chicago to see what’s new, what has changed, and share their vision for where retail is headed. The major interest of attendees at this year’s event was in taking advantage of mobile and cross-device data opportunities. On Monday, we kicked off the week with a party on the rooftop of the Wit hotel with our partner Criteo, where we got the chance to talk with some of our great clients and friends in the industry. Signal’s Joe Stanhope and Rue La La’s Feng Chang discuss opportunities for mobile retailers. Making the most of customer signals on the mobile channel is a challenge that many retailers are grappling with. Feng said that Rue La La is essentially a mobile company, given that half of its revenue and traffic comes from mobile devices—a figure that jumps to 70% during the holidays. Signal is ideally positioned to support retailers as they make mobile their top priority and are pressed to truly get a handle on cross-device data. Signal Fuse connects identity data from any channel into a single, unified view of each customer, which can then be activated on any channel. Strategy. What are the goals of your company? What have you been tasked with doing at the highest levels? Which corporate KPIs rely on your performance? Process. There’s a lot of information flowing in and it’s a lot to juggle. Think about where handoffs occur and who handles them. Organization. Are there any third parties, such as vendors, that contribute to making these processes happen? Are there any internal groups that need to be more involved? Measurement. Think about what you need to measure and what KPIs you’re accountable for. Be able to communicate that reporting and intelligence. Technology. You probably already have a lot of technology—maybe it even feels like too much. Focus on making your existing investments work to support your goals. Providing a retailer’s perspective, Feng discussed the unique advantages Rue La La has in terms of identity data. Because Rue La La is a members-only site that requires login, the retailer can track its customers’ behaviors from device to device, and provide a consistent shopping cart, too: a shopper who puts a dress in the cart from her mobile phone will find the dress in the cart on her laptop. IRCE is always a great opportunity to learn and engage with current and future clients. Get in touch if we missed you! 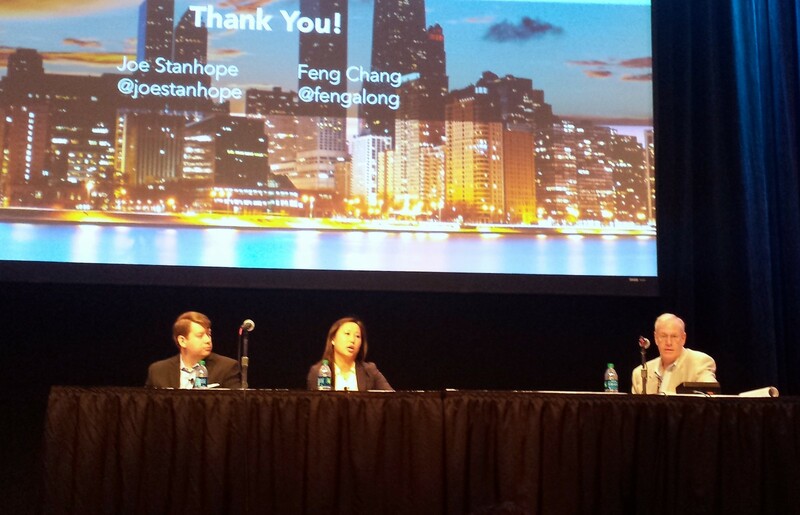 And read more about Joe and Feng’s presentation at Internet Retailer.